Aside from “A Glimpse Of Glory”, “Love & Other Mysteries” was perhaps the longest anticipated album for Ken Hensley’s fans: the former was announced five years ahead of its actual release, and the latter took four years to get released after the initial information that Ken started to work on the new album. 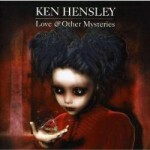 In 2008 tracks planned for “Love & Other Mysteries” were 75-percent complete, according to the information published at the time on Ken Hensley’s web site. Then for some reasons the work was put on hold. Tracks were mixed in October 2009, but the album was not released until May 28, 2012 (Cherry Red Records). Musically the album is a compilation of love songs and duets, with one song in Spanish. Ken sings 5 songs of 10; the rest are performed by guest vocalists. Glenn Hughes and Santra Salkova, a Bulgarian singer, perform “Romance”, the song familiar to those who listened to Ken Hensley’s “Cold Autumn Sunday” album (2005). Italian singer Roberto Tiranti sings three songs, among them two duets (“No Matter” and “Little Guy”) with Irene Forniciari. Sarah Rope sings “Tell Me When”. It was also planned that Live Fire’s vocalist Eirikur Hauksson would participate in the recording, but for some reason it did not happen. 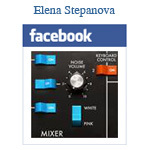 Кен Хенсли — all other instruments, lead vocals, backing vocals. Producers — Dani Saiz and Ken Hensley. Mixing — Dani Saiz (Sacramento Studios). Mastering — John Davies (Metropolis Studios, London). Design — Phil Smee (Waldo’s Design & Dream Emporium).